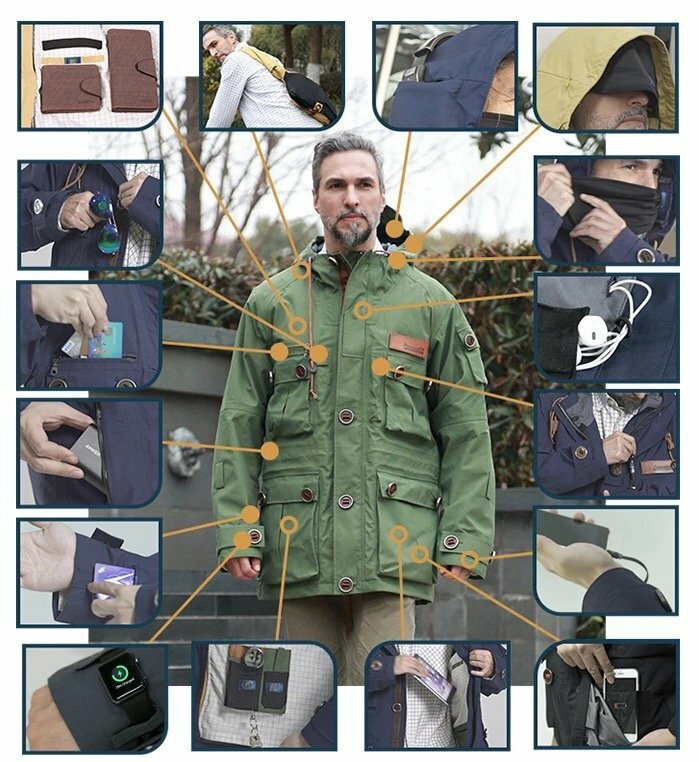 Anyone in search of the ultimate gadget jacket that is capable of carrying all their mobile devices as well as providing a shooter wealth of innovative pockets and utilities may be interested in this new modular travel jacket that has been created by Powearin Wearable Technology. The PowearIN2.0 ultimate gadget jacket is equipped with over 40 functions all of which can be seen in the brief promotional video below. As well as plenty of pockets the modular travel jacket also has a range of devices that can charge and even a magic control button. Modular design gives excellent functional expandability to PowearIN2.0; it is what you need to help you easily cope with the changing travel environment and climate scenarios. 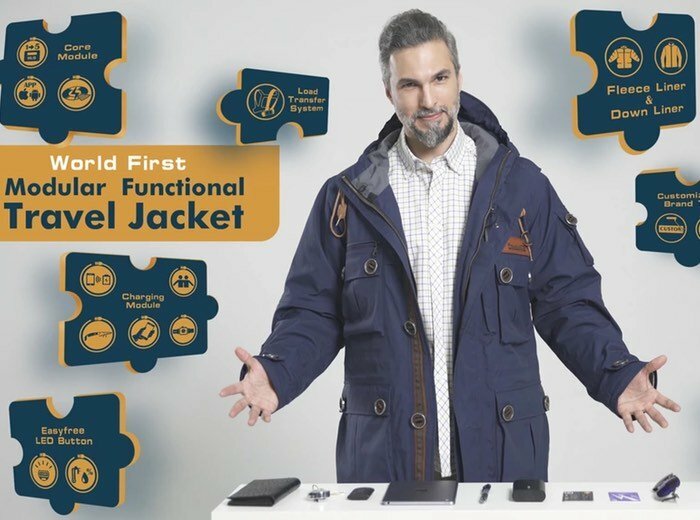 Experience the freedom to mix more than 10 different modules with more than 20 additional features, modular design contributes to becoming the world’s most feature-rich travel jacket: PowearIN2.0 – knows you best! Waterproof zippers + special flame retardant material + internal anti-thread hook + hidden tube line design + anti drape and weight dispersion design – ingenious design and thoughtful consideration contributes to the THE WORLD’S BEST PORTABLE MOBILE POWER PLACEMENT POCKET. For more information on the new PowearIN2.0 ultimate gadget jacket jump over to the Kickstarter website for details and to make a pledge from just $109 for super early bird backers with shipping expected to take place during October 2016, via the link below.